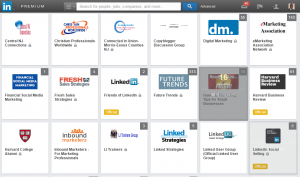 LinkedIn Groups are one of the most overlooked benefits of this platform. They provide the opportunity for you to learn from your peers and industry experts, get questions answered, expand your network, and position yourself as a valuable resource in your industry. You can also use Groups as part of your marketing toolkit, but this must be done correctly to avoid alienating other LinkedIn members. There are two approaches you can take to using Groups which are not mutually exclusive. One is to join selected Groups and participate regularly in relevant discussions. The second approach is to start your own Group and use it as a platform to accomplish specific objectives. You can use both approaches, though it is a good idea to start by participating in existing Groups because it will help you understand what is involved in starting your own Group. How do you determine which Groups to join? This will depend on what your objectives are, but most marketers will join Groups frequented by their target audience as well as Groups related to their industry. You can start by searching the directory of Groups by topic or keyword to see what turns up. 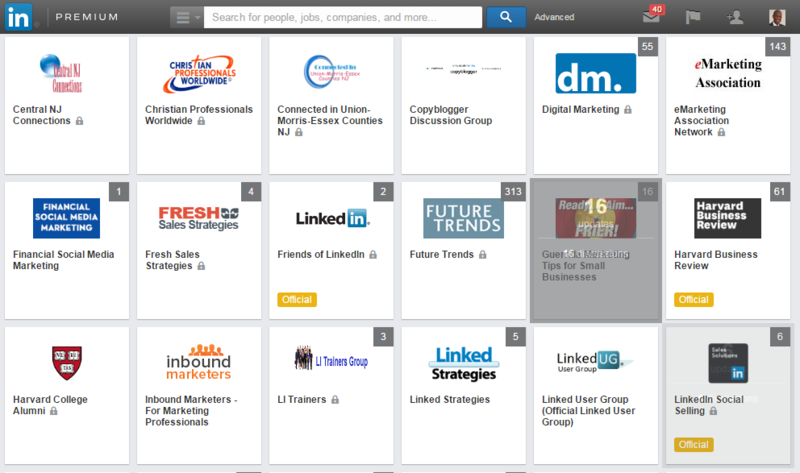 You can also look at the Profiles of leaders in your industry to see which Groups they belong to. When prospecting for sales leads it is a good idea to visit the profiles of the decision makers at your best clients and see what Groups they belong to. When you search for Groups by topic or keyword you can see the number of discussions and the number of Group members in the search results for each Group. In public Groups you can also look at the Discussions to get an idea about the quality of the comments. You can even search the discussions by keyword. In private Groups you can only see the numbers of discussions and members. LinkedIn formerly made Group Profile Statistics easily available, but discontinued this for some reason. This functionality may return, in the meantime this post describes a hack that works as of this writing (no guarantees as to how long this functionality will be around). 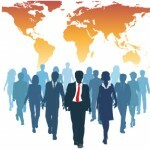 Group Statistics will show you how many members there are and their demographics. You also want to see how active the Group is in terms of discussions and comments. Look for Groups with high levels of engagement – the higher the number of substantive comments, the better. When you join a Group the first step is to follow discussions to get an idea of the personality of the group, then participate by answering questions, asking questions and contributing to discussions. You will only have time to consistently participate in 2-3 Groups at most, so monitor how these Groups are performing for you in terms of new connections and business opportunities for you. Keep in mind that this will take some time, don’t expect Groups to start generating business for you right away. When do contribute to Groups, keep in mind that the way to use them most effectively is to provide value to the Group community. This can be in the form of insightful comments, linking to informative content and answering questions. What you want to avoid is blatant self promotion. This adds no value to a Group and most Groups will have rules against promotional posts in Group discussions. Groups do have a specific tab for Promotions, but most people don’t look at these so they rarely get shared. 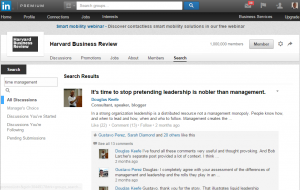 In addition, LinkedIn has instituted a controversial policy called SWAM (Site Wide Automated Monitoring). It means that if one of your posts is flagged by a moderator in any Group, your posts in other Groups will have to be approved by Group moderators before they are posted. This strikes most of us as an extreme case of overkill by LinkedIn in an effort to reduce Spam in Groups, but given its impact on your ability to participate in Group discussions it is important to be aware of. If you cannot promote your offering in Group discussions, then how do you benefit from participating in a Group? First, as you regularly contribute helpful comments and content to discussions, you will become more visible and other Group members will begin contacting you. Once this happens you can begin to engage with them privately and let them know what solutions you have to offer. If you have a product or service that directly addresses a question raised in a Group discussion, it is okay to link to information on your website (if Group rules allow this) or invite the person asking the question to contact you directly for more information. Second, you can use Groups to expand your network. LinkedIn allows you to individually message up to 15 fellow Group members a month and you can use this to explain what you have in common and see if they are open to connecting. You are allowed to join up to 50 Groups on LinkedIn and you should take advantage of this if only to expand your network and maximize your opportunities to develop new connections. 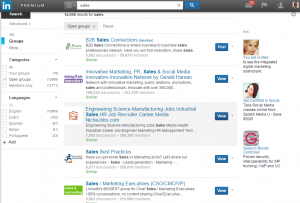 The more advanced use of LinkedIn Groups involves starting your own Group. This has a number of advantages, but takes a commitment in order for it to be worthwhile. Prior to starting a Group you will need a strategy for the Group’s purpose and direction. Is your purpose to position yourself as an industry expert, to provide a service to your business community or to market your business? The Group’s purpose as described in the Group Profile needs to be one that serves the needs of the audience you want to attract. This is why it is important to have a clear profile of the type of person you want as a Group member. Your strategy for how you will use the Group to help grow your business also has to be clear. How will the positioning and relationships that you develop as a result of owning a Group fit into your overall marketing strategy? What types of cross-promotions will you do between your other marketing initiatives and your Group? It is advisable to focus the Group around an industry or topic rather than your company or brand. Your potential members will be interested in joining a Group that provides relevant business information, whereas they will not be as interested in joining a Group they perceive as promoting your business. The advantages of becoming a Group owner are that you are in control of the direction of the Group, who joins it, what comments appear in discussions and other aspects of the Group’s operation. In addition, you can invite your 1st level connections to join your Group, contact any Group member individually and send announcements to the entire Group up to once a week. As a result, a Group can be a powerful marketing tool for you as it can position you as a resource for your industry. The main downside to owning a Group is the work involved. You have to set-up the Group which is relatively simple once you have a description of what it will be about. The work comes in with promoting the Group, building its membership and moderating comments once it gains traction. You can start by promoting the Group to your network and encouraging them to share it with their networks. You can also promote the Group to your email list or direct mail list if you have one. Moderating the Group takes a regular investment of time on a weekly basis as members begin engaging in discussions. The biggest complaint about LinkedIn Groups is that they are filled with Spam. As the owner of a Group you need to post a clear set of rules for your Group and monitor discussions to keep them clear of irrelevant comments. Discussions can occasionally turn heated, so trying to ensure that members play nice with each other even when they disagree is important as well. 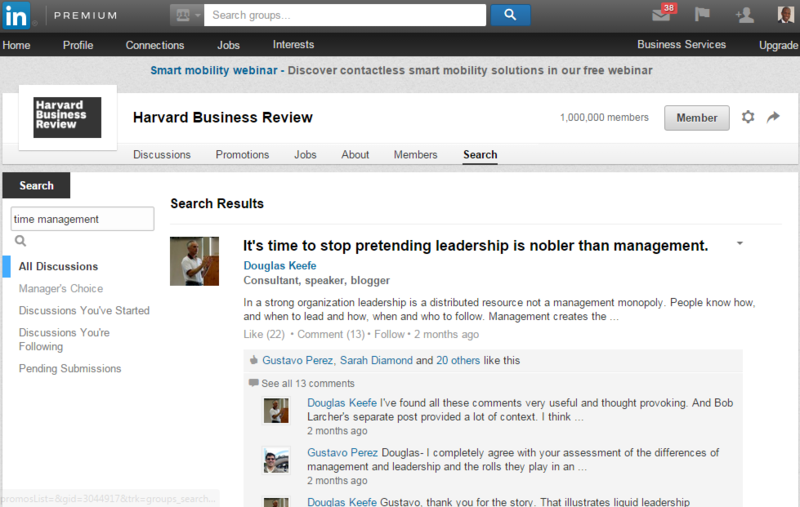 If you own, moderate or use LinkedIn Groups, please let us know your thoughts about their effectiveness. Does it make sense to invest in one of LinkedIn’s Premium products? As you might imagine, it depends on your situation and goals. 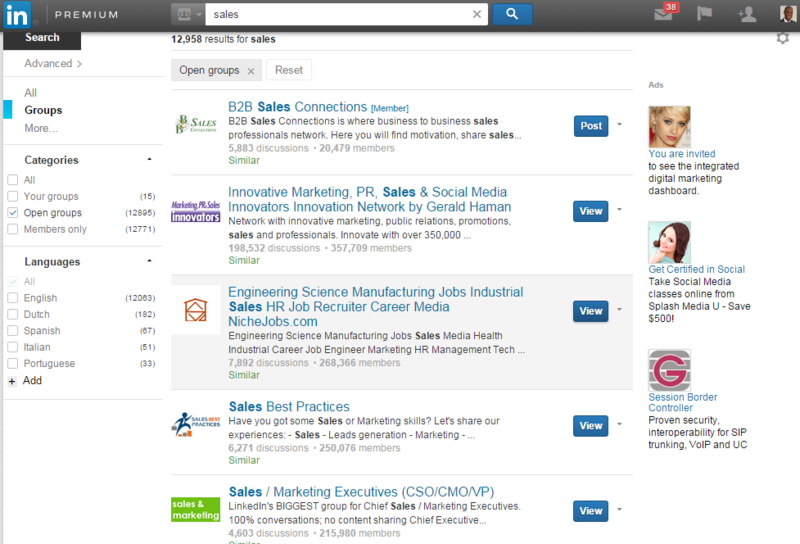 If you are a sales professional or a recruiter LinkedIn’s Sales and Recruitment products are a great investment. Otherwise, I suggest getting the most out of LinkedIn’s free version before investing in the paid product. Who Should I Connect With on LinkedIn?